Taken in Loja, Ecuador. This species hunts during the day for songbirds. Songbird flocks can mob them, alerting you to their presence. Last edited by Paul Rossi on Fri Feb 08, 2019 8:42 pm, edited 1 time in total. Paul, love the eye contact you achieved with this lovely little owl. Very nice image! Beautiful composition, super eye contact. A cracking Owl with great eye contact, lovely composition too. Very well posed and well composed owl with the natural habitat,a fine image Paul. Charming! 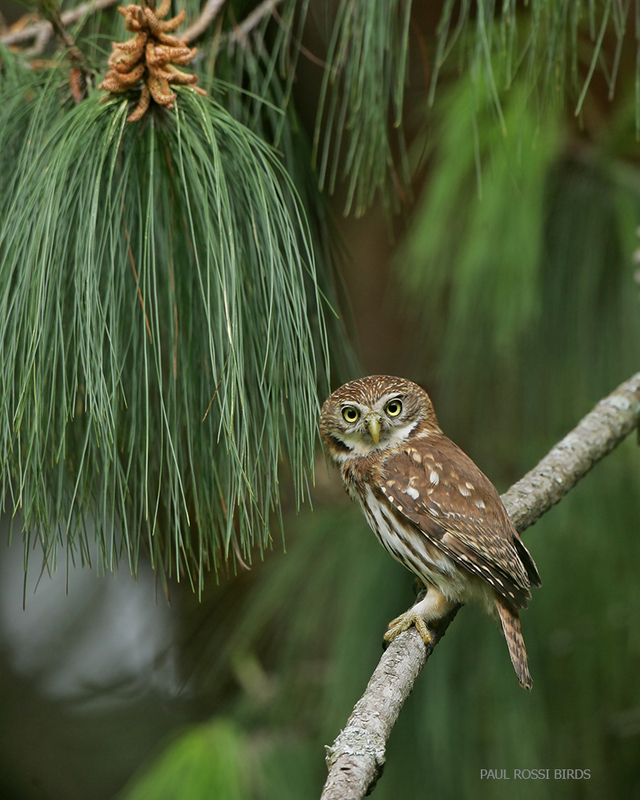 Love the pine needles hanging down and that owly stare! Once again your artistic eye has beautifully complemented the lovely owl sighting with a wonderful wider view of the setting. Such a lovely composition and excellent shot, Paul! Wow, what a stare. I am a huge owl fan and this owl is so nice and cute,,,very similar to Northern Pygmy owls we have here in Pacific Northwest.